He said to his disciples, „Things that cause sin will inevitably occur, but woe to the person through whom they occur. It would be better for him if a millstone were put around his neck and he be thrown into the sea than for him to cause one of these little ones to sin. Be on your guard! 1 If your brother sins, rebuke him; and if he repents, forgive him. The Lord replied, „If you have faith the size of a mustard seed, you would say to (this) mulberry tree, ‘Be uprooted and planted in the sea,’ and it would obey you. 2 „Who among you would say to your servant who has just come in from plowing or tending sheep in the field, ‘Come here immediately and take your place at table’? Would he not rather say to him, ‘Prepare something for me to eat. Put on your apron and wait on me while I eat and drink. You may eat and drink when I am finished’? 3 4 As he continued his journey to Jerusalem, he traveled through Samaria and Galilee. And when he saw them, he said, „Go show yourselves to the priests.” 5 As they were going they were cleansed. and he fell at the feet of Jesus and thanked him. He was a Samaritan. Jesus said in reply, „Ten were cleansed, were they not? Where are the other nine? Then he said to his disciples, „The days will come when you will long to see one of the days of the Son of Man, but you will not see it. There will be those who will say to you, ‘Look, there he is,’ (or) ‘Look, here he is.’ Do not go off, do not run in pursuit. For just as lightning flashes and lights up the sky from one side to the other, so will the Son of Man be (in his day). But first he must suffer greatly and be rejected by this generation. they were eating and drinking, marrying and giving in marriage up to the day that Noah entered the ark, and the flood came and destroyed them all. on the day when Lot left Sodom, fire and brimstone rained from the sky to destroy them all. So it will be on the day the Son of Man is revealed. On that day, a person who is on the housetop and whose belongings are in the house must not go down to get them, and likewise a person in the field must not return to what was left behind. Whoever seeks to preserve his life will lose it, but whoever loses it will save it. I tell you, on that night there will be two people in one bed; one will be taken, the other left. 1  Be on your guard: the translation takes ⇒ Luke 17:3a as the conclusion to the saying on scandal in ⇒ Luke 17:1-2. It is not impossible that it should be taken as the beginning of the saying on forgiveness in ⇒ Luke 17:3b-4. 2 [7-10] These sayings of Jesus, peculiar to Luke, which continue his response to the apostles’ request to increase their faith (⇒ Luke 17:5-6), remind them that Christian disciples can make no claim on God’s graciousness; in fulfilling the exacting demands of discipleship, they are only doing their duty. 3 [11-19] This incident recounting the thankfulness of the cleansed Samaritan leper is narrated only in Luke’s gospel and provides an instance of Jesus holding up a non-Jew (⇒ Luke 17:18) as an example to his Jewish contemporaries (cf ⇒ Luke 10:33 where a similar purpose is achieved in the story of the good Samaritan). Moreover, it is the faith in Jesus manifested by the foreigner that has brought him salvation (⇒ Luke 17:19; cf the similar relationship between faith and salvation in ⇒ Luke 7:50; ⇒ 8:48, ⇒ 50). 5  See the note on ⇒ Luke 5:14. 6 [20-37] To the question of the Pharisees about the time of the coming of God’s kingdom, Jesus replies that the kingdom is among you (⇒ Luke 17:20-21). The emphasis has thus been shifted from an imminent observable coming of the kingdom to something that is already present in Jesus’ preaching and healing ministry. 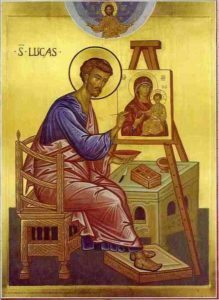 Luke has also appended further traditional sayings of Jesus about the unpredictable suddenness of the day of the Son of Man, and assures his readers that in spite of the delay of that day (⇒ Luke 12:45), it will bring judgment unexpectedly on those who do not continue to be vigilant. 7  Among you: the Greek preposition translated as among can also be translated as „within.” In the light of other statements in Luke’s gospel about the presence of the kingdom (see ⇒ Luke 10:9, ⇒ 11; ⇒ 11:20) „among” is to be preferred. 8  The inclusion of ⇒ Luke 17:36 „There will be two men in the field; one will be taken, the other left behind,” in some Western manuscripts appears to be a scribal assimilation to ⇒ Matthew 24:40. 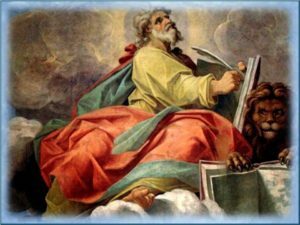 Această intrare a fost publicată în LUKE, THE BIBLE - LA BIBBIA - LA BIBLIA -A BÍBLIA - 圣经 - 聖書 - BIBLIA . Pune legătura în semnele de carte.